Too cold out for just a turnout sheet, but, not cold enough for a medium weight waterproof horse blanket on your horse? We use these on our horses. Has 100 grams of polyfil, just enough to take the cold edge off. 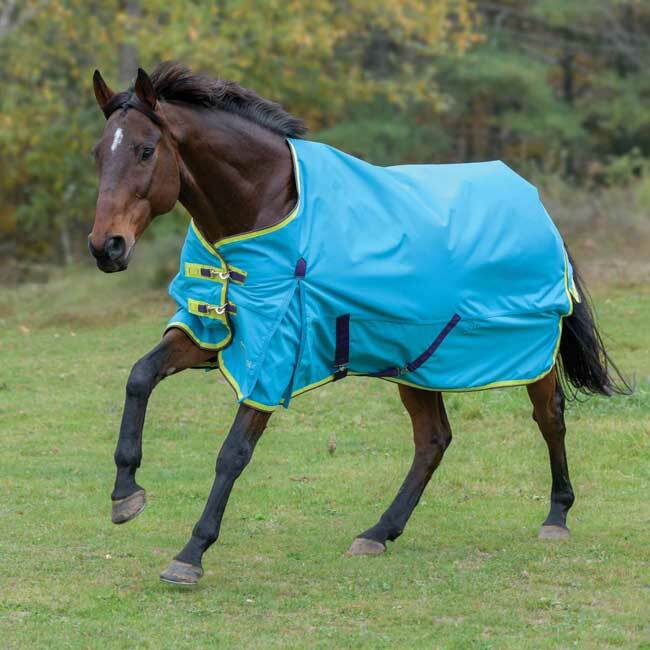 The Shires Highlander Horse and Pony Turnout Blanket is great for whatever weather the day throws at you. Made of tough 1200 denier ripstop waterproof fabric, and filled with 100 grams of polyfill, waterproof, taped seams, and lined with Shire Tex breathable material. It also comes with double hook and eye chest straps, integrated leg straps, adjustable cross surcingles, large tail flap and tail strap. This blanket is machine washable in cold water only with special detergent like Woolite or a special blanket wash. DO NOT put it in the dryer. Line dry only. Sizes: 60", 63", 66", 69", 72", 75", 78" 81", 84"